Visit this unique place to learn more about Shakespeare! Open all year round, the Globe exhibition & tour gives you an opportunity to learn more about this unique building and its most famous playwright, Shakespeare. Based under the Globe Theatre, our engaging and informative exhibition explores the life of Shakespeare, the London where he lived, and the theatre for which he wrote. Imagine the Globe as it would have been: the centre of what was once London's most notorious entertainment district, surrounded by raucous taverns and bawdy-houses. The exhibition now includes our audio guide, developed in conjunction with Acoustiguide, included in the standard admission price and available in English, Spanish, French, German, Italian and Japanese. 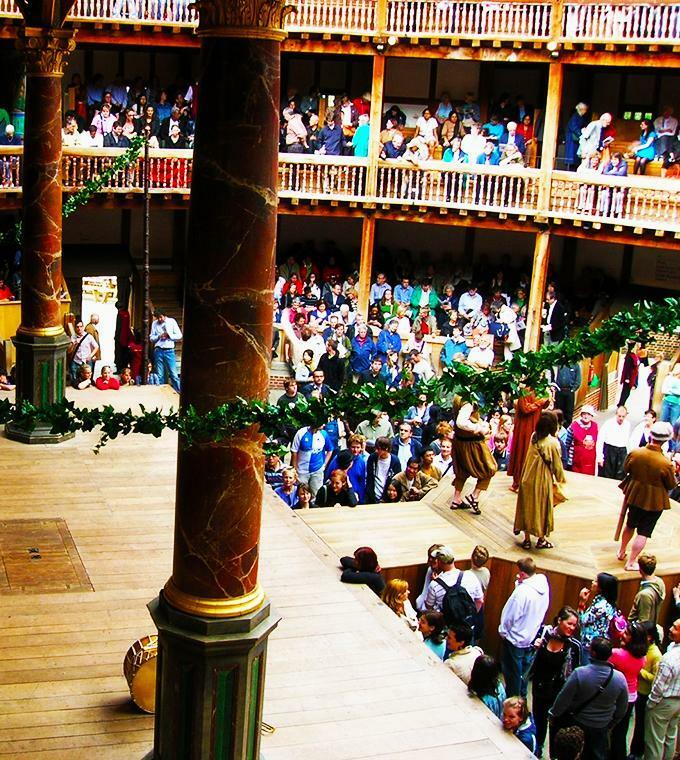 Please note: During matinee performances, special events or periods of maintenance in the theatre, guided tours of the Globe will NOT be possible. Visitors will be taken to the nearby site of Bankside's first theatre: the Rose. The theatre where Christopher Marlowe wrote his greatest plays, the Rose is the only Elizabethan playhouse that has been excavated on a large scale by archaeologists. Please check ahead of your visit if you wish to know in advance which site you will be touring at your chosen time. See the schedule for Globe Tours here. Underground stops at Mansion House on the District and Circle Lines, London Bridge Station on the Nothern and Jubilee Lines, Southwark Station on the Jubilee Line or St Paul’s Station on the Central Line. Buy your ticket online and skip the line! Buy your ticket at Ticketbar and get a 1 euro discount!